A spacious 6 bedroom holiday villa with swimming pool set in a wonderful location near village of Santa Lucia in extensive grounds and with beautiful views. 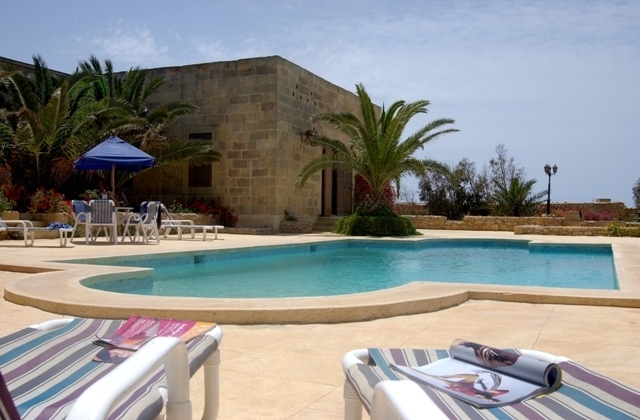 This holiday villa is located few minutes drive away from food shops, pizzeria, bakeries, bars, capital city of Victoria and Xlendi bay. 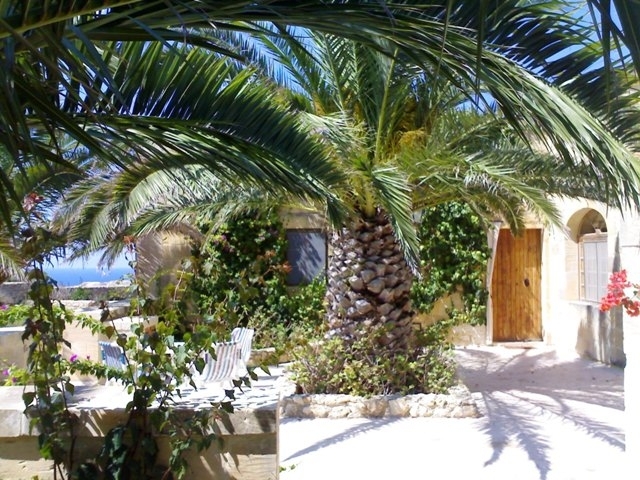 WIFI provided free of charge in this holiday villa. 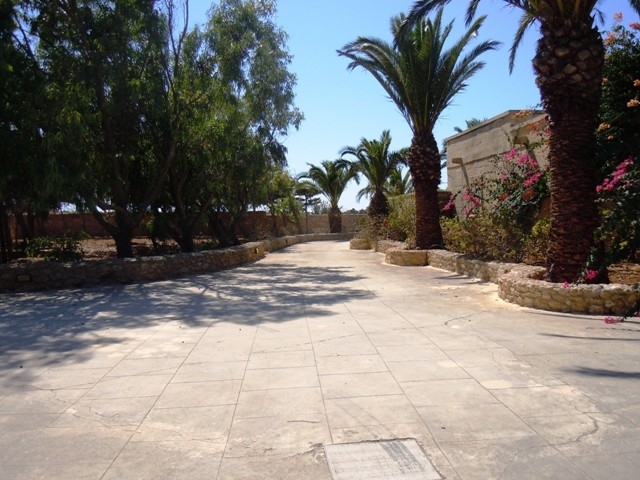 Entrance is to a driveway where your car/s can be parked. 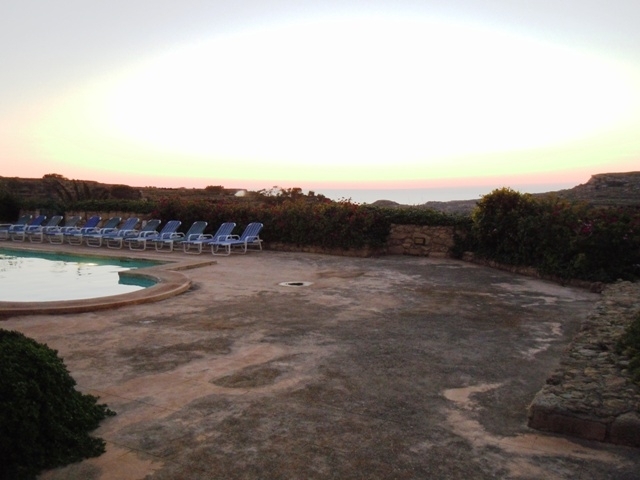 On each side of driveway there is a patio. 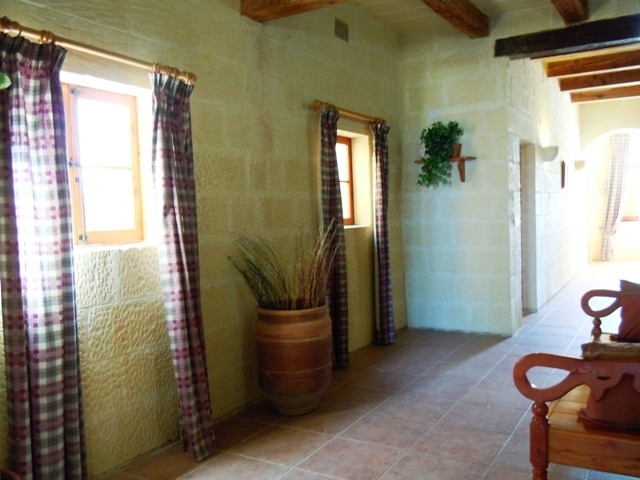 Each patio got a door leading to interior of holiday villa. 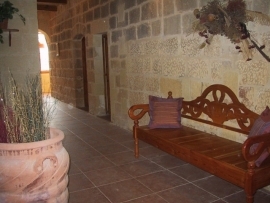 In a certain patio there are stairs leading to a roof terrace where you can enjoy beautiful scenery of countryside, Citadel Fortification, distant sea view plus many other views. 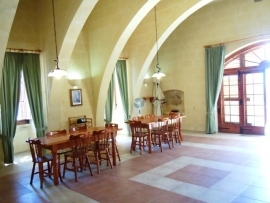 Entrance hallway leads to a spacious dining room with 2 tables and 12 chairs. 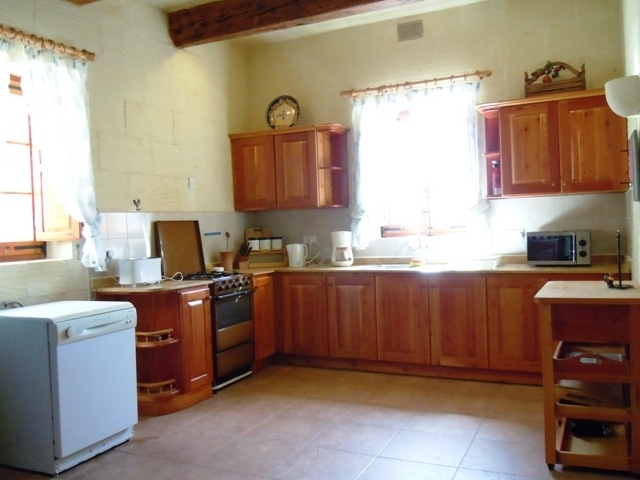 In dining room there is a doorway to a spacious kitchen. Also in dining room there is a glass and wooden door plus wooden louvers leading to a pool area with sun bathing loungers, tables, chairs, umbrellas, barbecue area, open air shower areas and garden. In bedrooms hallway there are doors leading to 6 bedrooms. 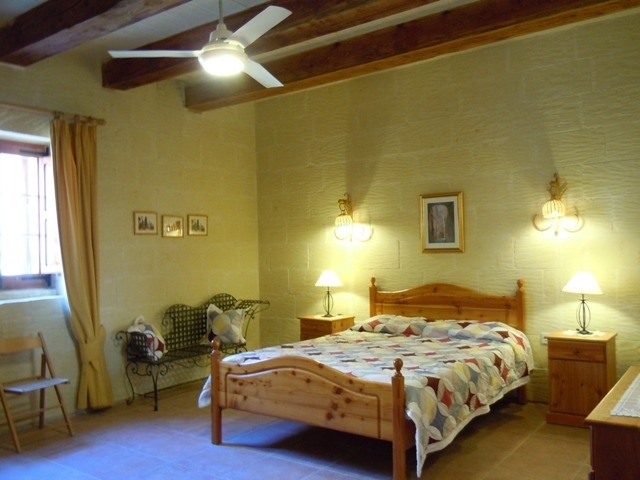 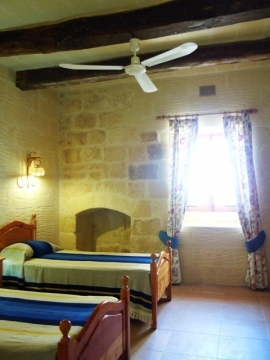 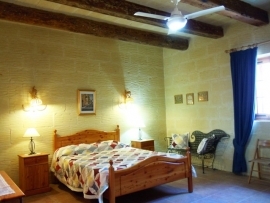 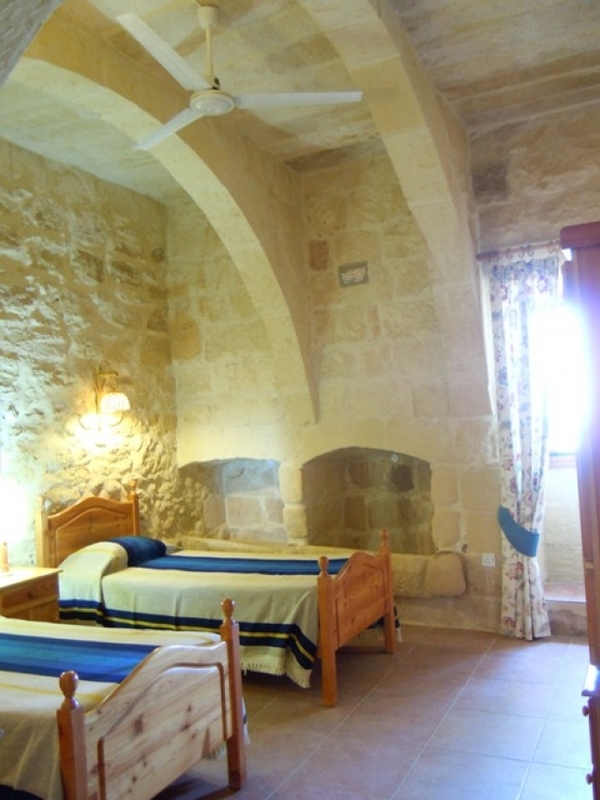 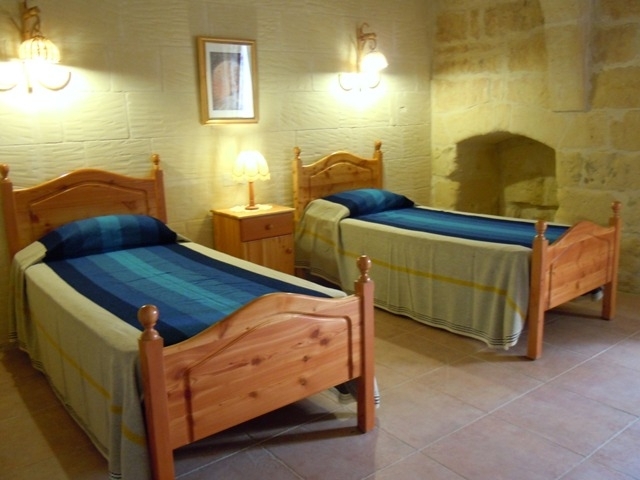 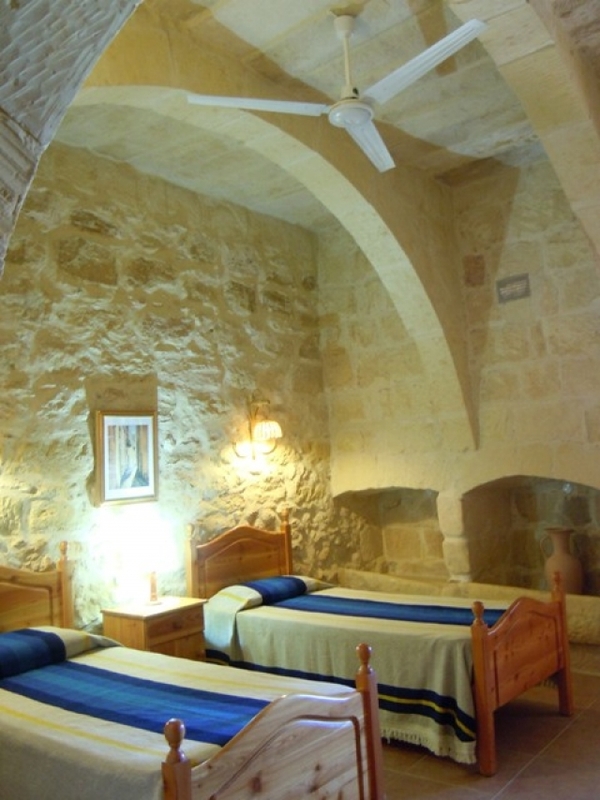 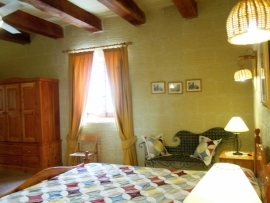 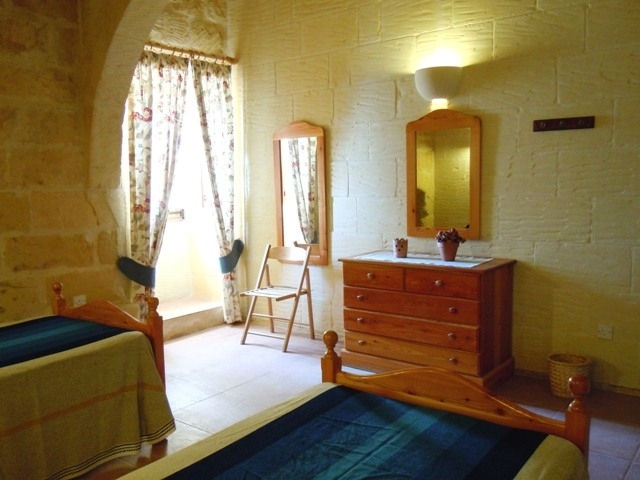 There is a spacious twin bedroom (2 single beds) with a ceiling fan. 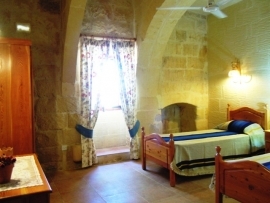 There is also a spacious twin bedroom (2 single beds) with a ceiling fan. 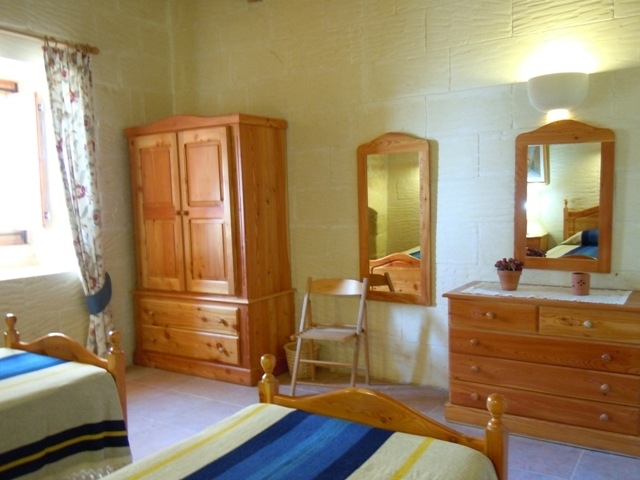 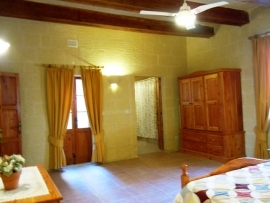 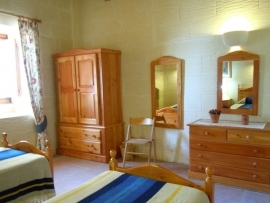 Facing this second twin bedroom door there is a door leading to a spacious double bedroom (1 double bed) with a ceiling fan and also with an en suite bathroom. 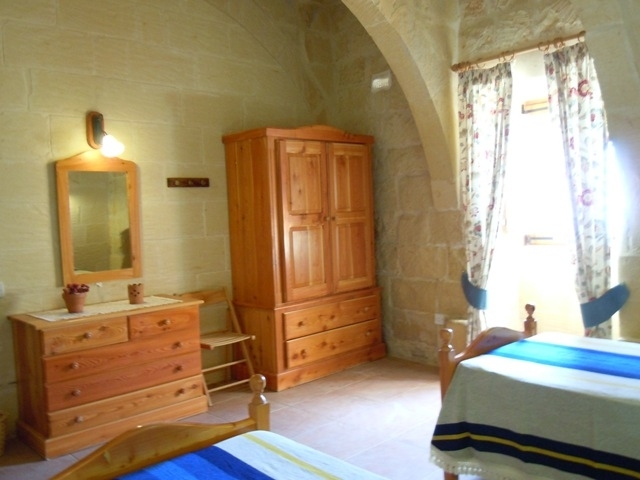 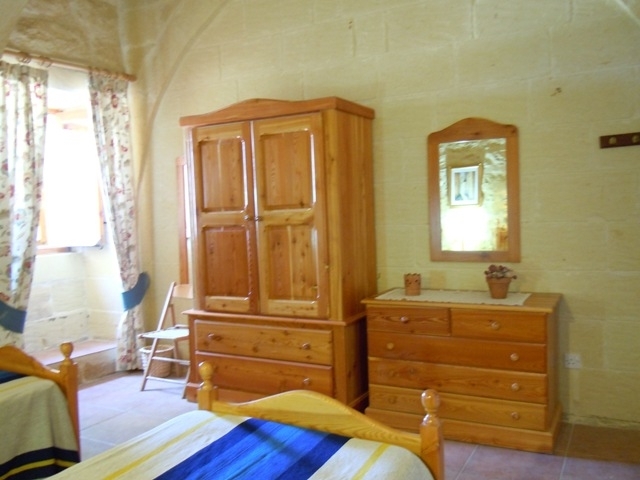 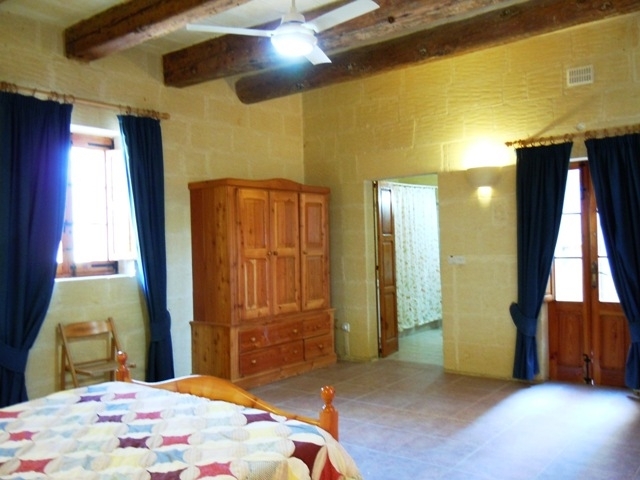 There is another spacious double bedroom (1 double bed) with a ceiling fan and also with an en suite bathroom. 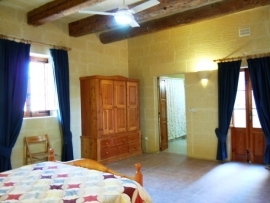 Facing this double bedroom door there is a door leading to a spacious twin bedroom (2 single beds) with ceiling fan. 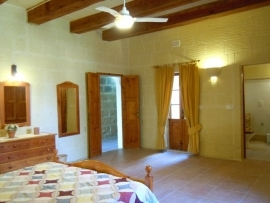 Next to this third twin bedroom there is another spacious twin bedroom (2 single beds) with a ceiling fan. 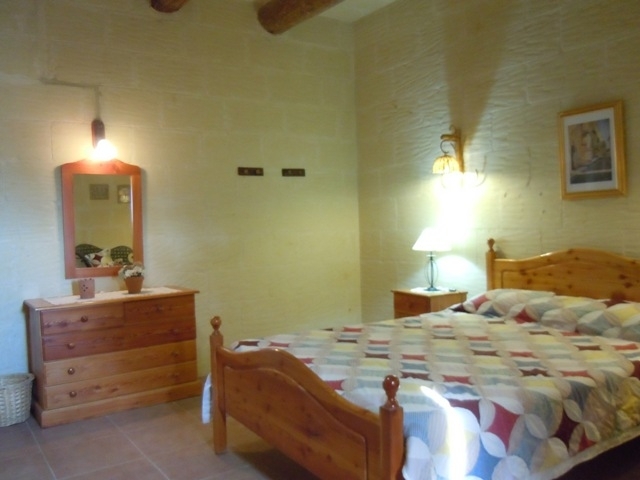 On each side of bedrooms hallway there is a shower room. Bedrooms hallway leads to a spacious sitting room with sofas plus with multilingual channels on television. In sitting room there is a glass and wooden door plus wooden louvers leading to sun bathing area with swimming pool. 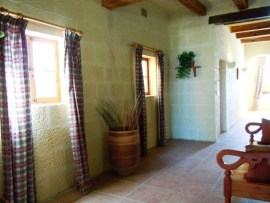 Also from sitting room there is a glass and wooden door plus wooden louvers leading to a patio. 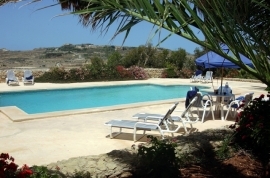 Nearest food shops, bars, bakeries, pizzeria and pharmacy: around 5 minutes drive away from this holiday villa. 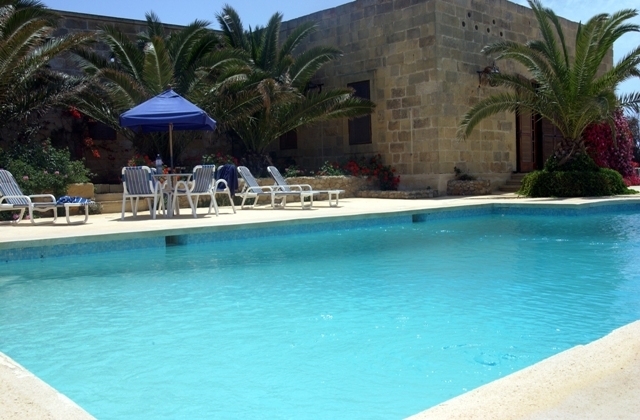 Kercem village centre: around 5 minutes drive away from this holiday villa. 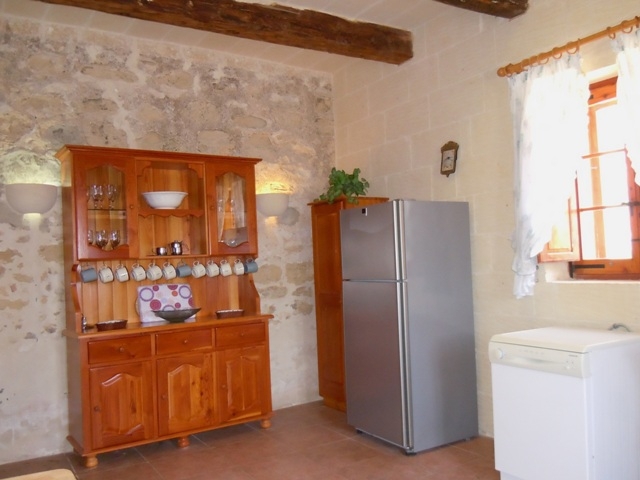 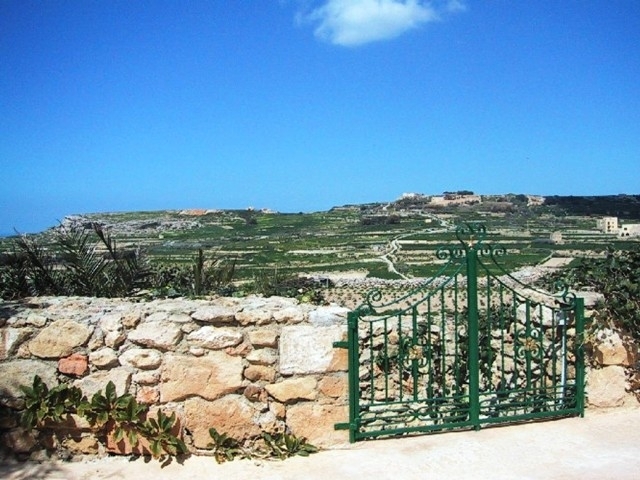 Nearest bay is Xlendi Bay: around 15 minutes drive away from this holiday villa. 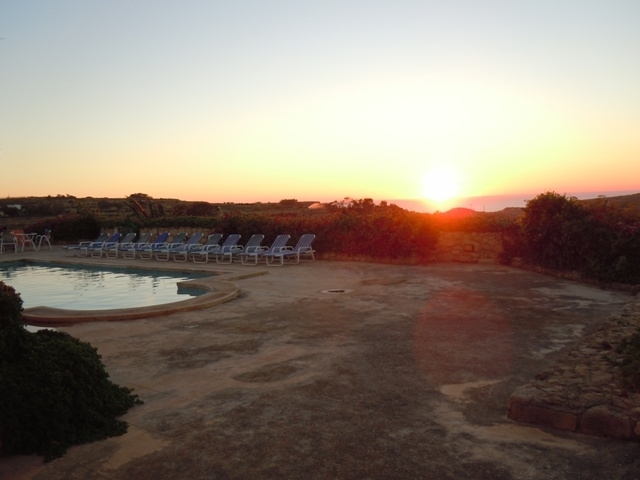 Supermarkets, butchers, green grocers, shops and banks in capital city of Victoria: around 10 minutes drive away from this holiday villa. 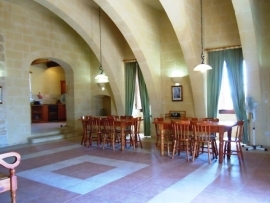 Restaurants, bars, market and pharmacies in capital city of Victoria: around 10 minutes drive away from this holiday villa. 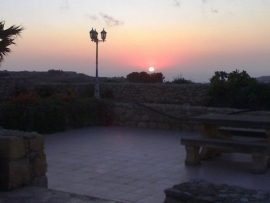 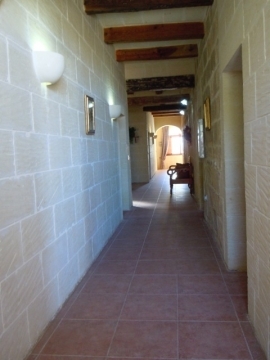 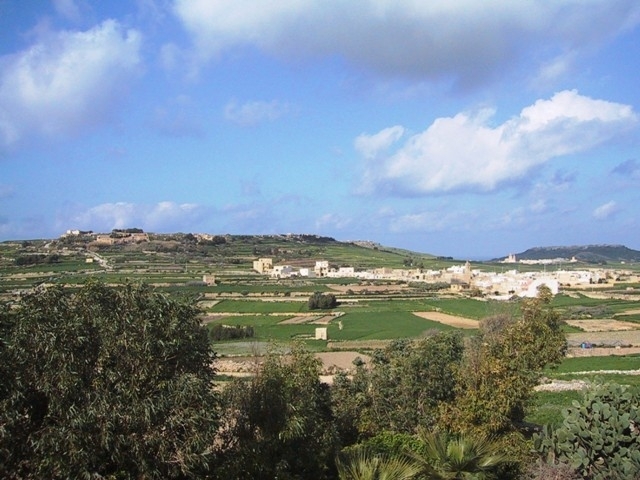 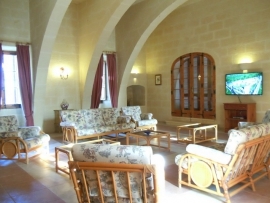 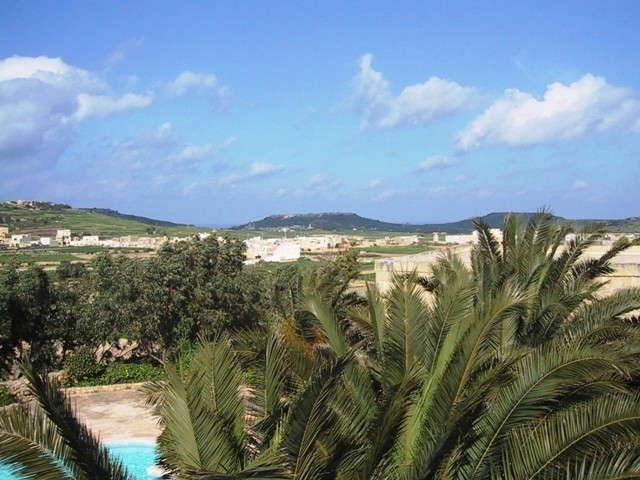 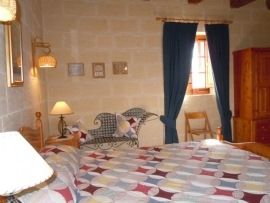 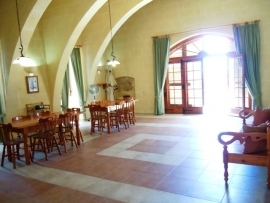 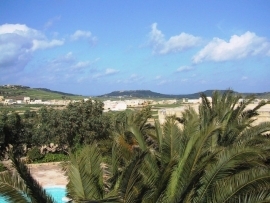 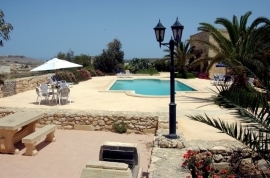 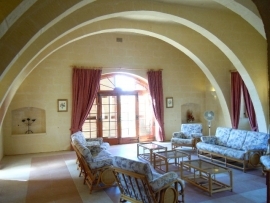 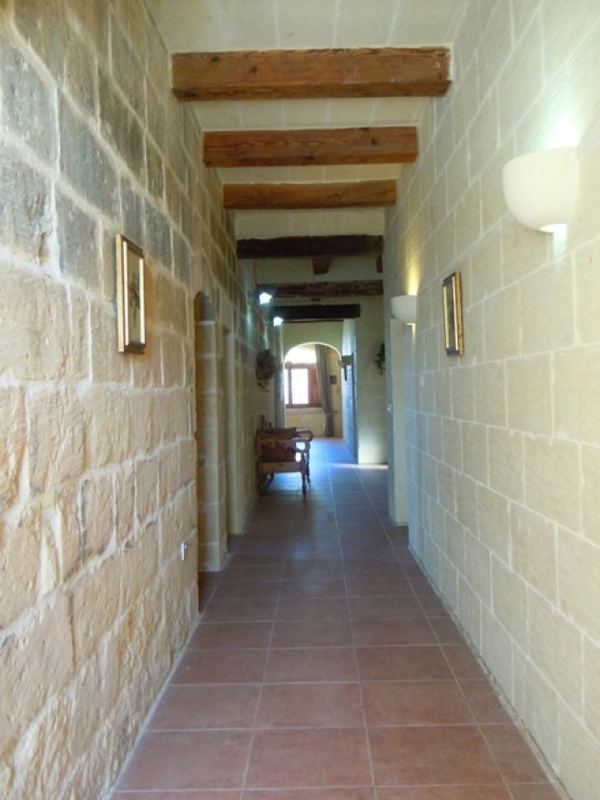 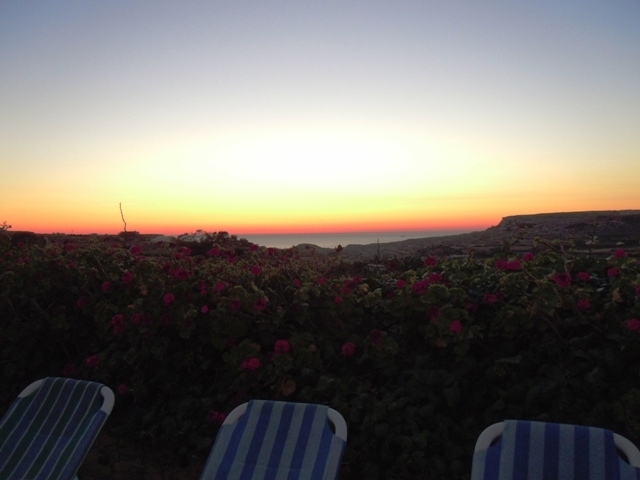 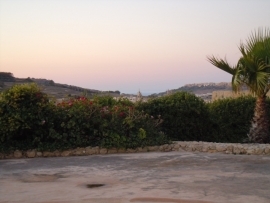 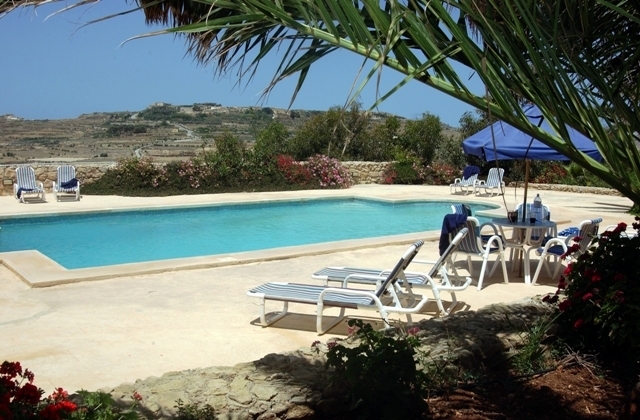 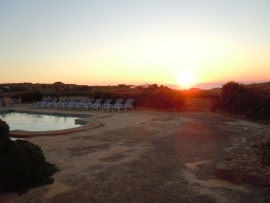 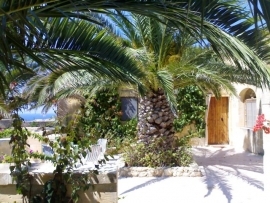 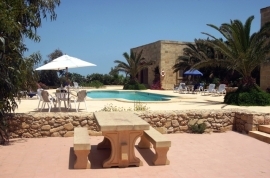 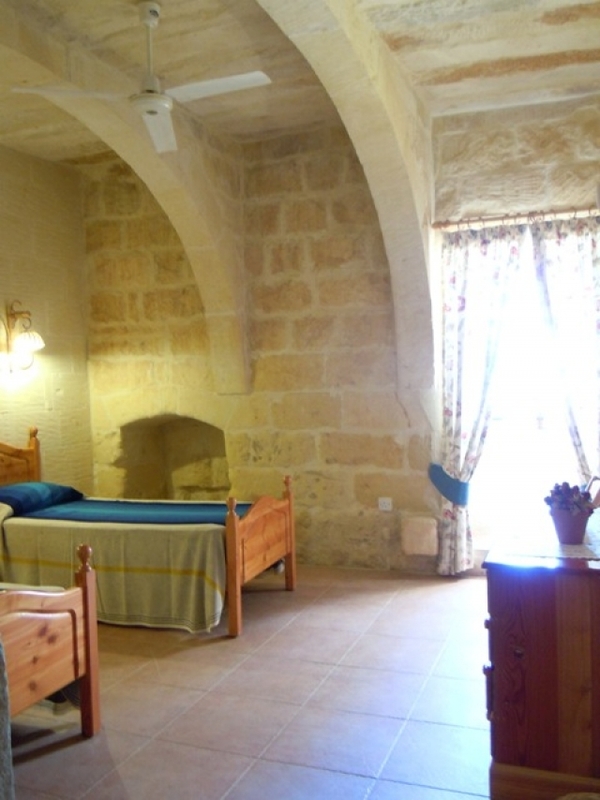 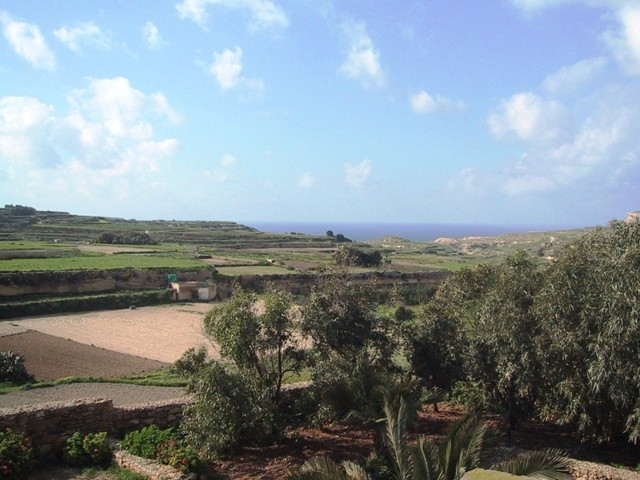 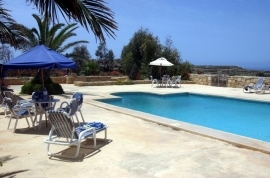 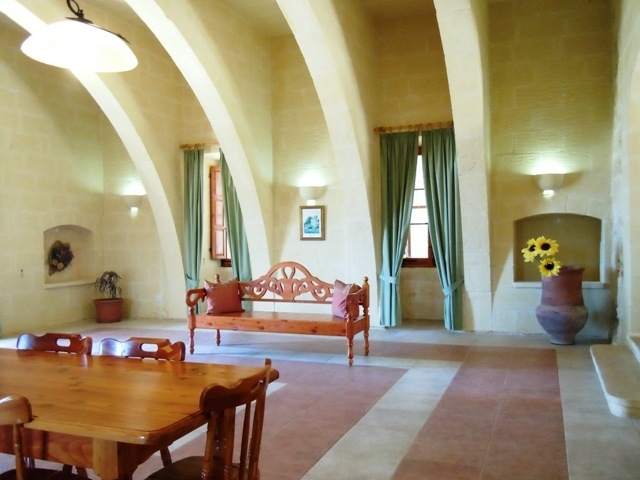 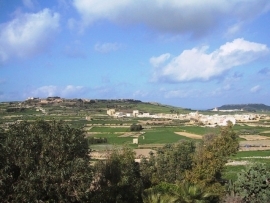 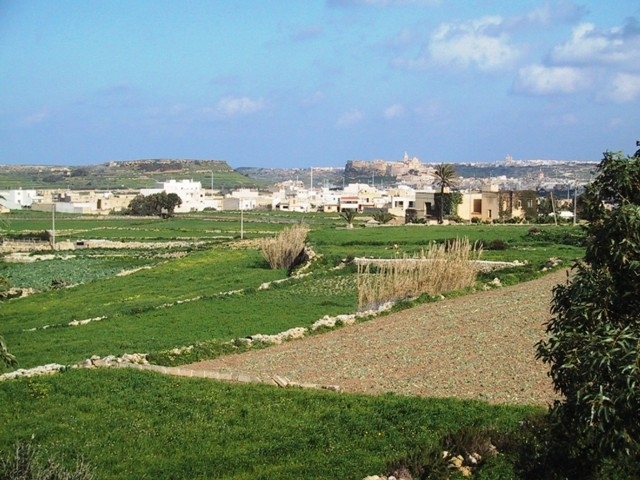 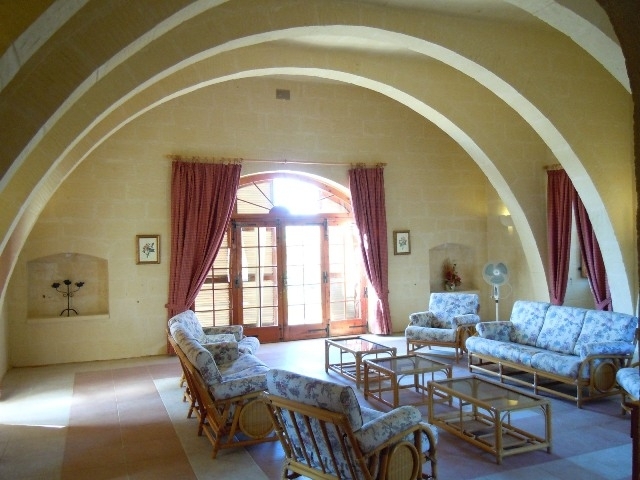 Other beaches on Gozo: around 25 minutes drive away from this holiday villa. 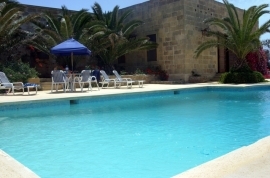 Public garden in capital city of Victoria: around 10 minutes drive away from this holiday villa. 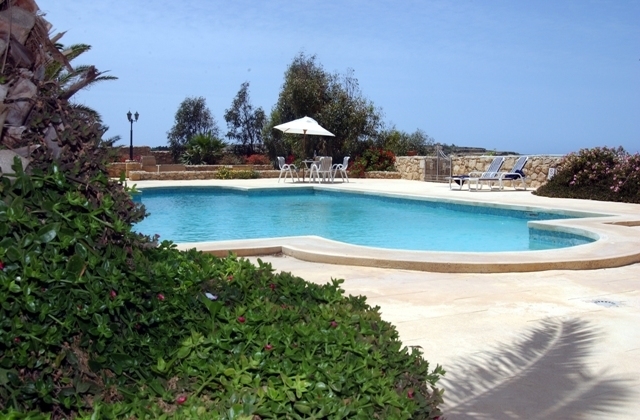 Public tennis courts, public squash courts, public gym: around 15 minutes drive away from this holiday villa. 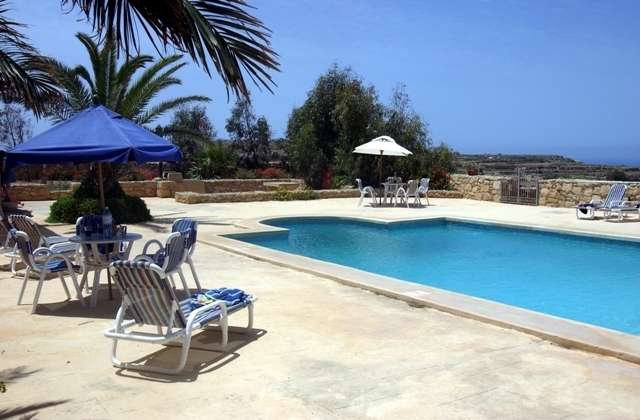 Inland Sea and Fungus Rock in Dwejra bay: are around 20 minutes drive away from this holiday villa.